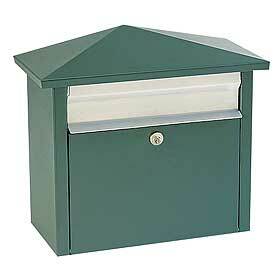 Wall mounted locking mailboxes are quickly taking the place of traditional door mounted mail slots. People who have a mail slot in their front door might have their bills chewed up by their dog. Traditionally Wall mounted locking mailboxes are fitted in front door of a home but in some residence the mail is delivered in side entry. These boxes can be quickly easily mounted on any interior or exterior wall. They are used in dorms and apartment buildings.